And so the day has finally arrived. 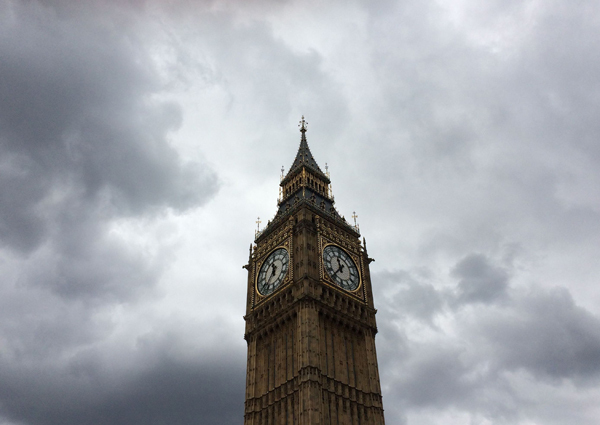 Following its usual bonging at midday today, the famous bell nick-named Big Ben has now controversially fallen silent as what have been described as “critical” conservation works are carried out. How long the 13.7 tonne bell, which sits at the top of Elizabeth Tower (formerly known as the Clock Tower) at the northern end of the Palace of Westminster (also known as the Houses of Parliament) and is officially known as the “Great Bell”, will be silent remains something of a mystery. Following uproar over the initial announcement that the bell would be silent for four years (until 2021), officials have now said that the plan will now be reviewed. There have also been claims that the bell will continue to toll for significance events such as Remembrance Sunday and New Year’s Eve (Conservative MPs also reportedly want the bell to toll as the UK leaves the EU on 29th March, 2019). It should be noted that while the mechanism which strikes the bell will be stopped from doing so during works to protect the ears of those working on it, the clock faces on the tower will continue to show the time. The giant bell, which was cast by the Whitechapel Bell Foundry, went into action on 11th July, 1859, and has been bonging almost continually since. It apparently stopped for two years during World War I for fears it would attract Zeppelins to the site and was silent during the funerals of former PMs Winston Churchill and Margaret Thatcher. It was last silent in 2007 when maintenance was carried out.